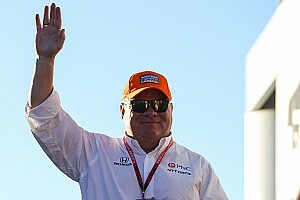 An inconclusive opening practice session for the 10th Honda Indy Grand Prix of Alabama left Felix Rosenqvist’s Chip Ganassi Racing-Honda at the top of the times, as the rookie squeezed out a 69.230sec lap of Barber Motorsports Park in between three red flags. 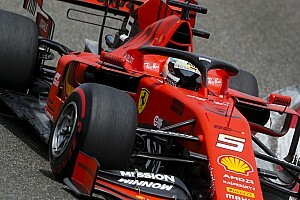 On a track surface still damp, and ambient temperatures only reaching 64degF, the rookies were first to emerge to use the extra set of primary tires they are granted, and Rosenqvist nailed a 119.602mph lap. 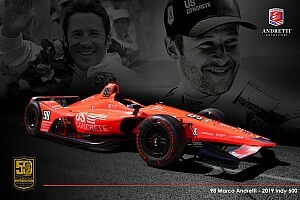 That was only 0.0454sec faster than Sebastien Bourdais in the Dale Coyne Racing with Vasser-Sullivan-Honda, with James Hinchcliffe only a further five-hundredths of a second further back in the Schmidt Peterson Motorsports-Honda. Hinch spun his car on the entrance to pitlane, but his was one of the more innocuous of the incidents, as he was able to turn back around and continue down to his pit. The first red flag flew when Matheus Leist spun exiting Turn 5, clipping the damp curb on the outside and spinning into the barrier at Turn 6. That took eight minutes of track time away, and then his teammate Tony Kanaan needed rescuing when he spun exiting Turn 16 and stalled as the car rolled down the hill. 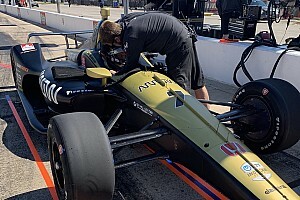 Finally the session ended early when Spencer Pigot spun at the 17th and final turn and finished up in the sandtrap. 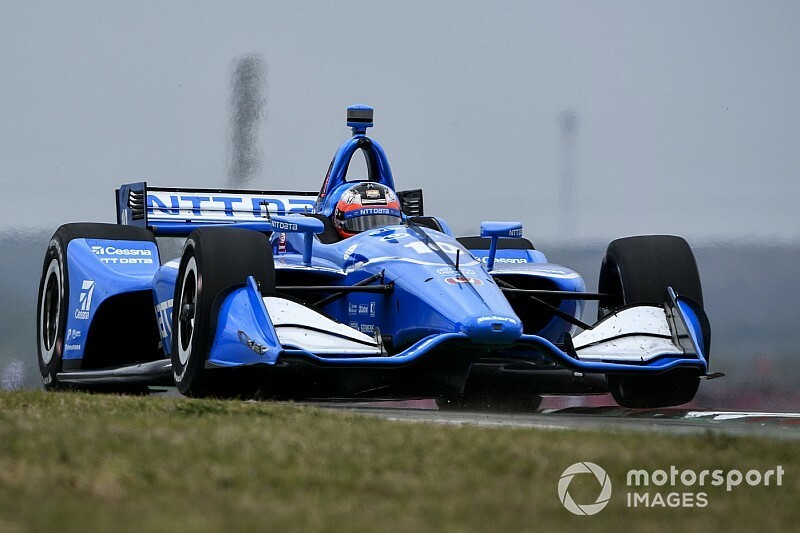 Scott Dixon was fourth fastest for Ganassi ahead of Ryan Hunter-Reay in the fastest of the Andretti Autosport-Hondas, with Circuit of The Americas winner Colton Herta taking sixth for Harding Steinbrenner Racing-Honda. 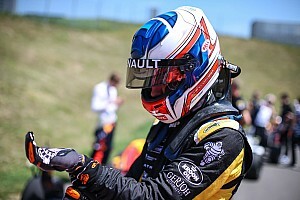 Carlin Racing’s Patricio O’Ward was the fastest of the Chevrolet runners, clocking a 69.501sec right at the end of the session, although the Team Penske drivers, headed by Simon Pagenaud, couldn’t quite get a clear lap to set a representative time. Takuma Sato briefly fell off the road but earned eighth for Rahal Letterman Lanigan Racing-Honda ahead of Alexander Rossi (Andretti). The second practice, in which the drivers will get a chance to run on a set of Firestone ‘alternate’ compound tires (weather allowing), begins at 2.50pm local (Central) time.